ELO 1528L E491199 15 Inch DesktopTouchmonitor | Ampronix Inc. 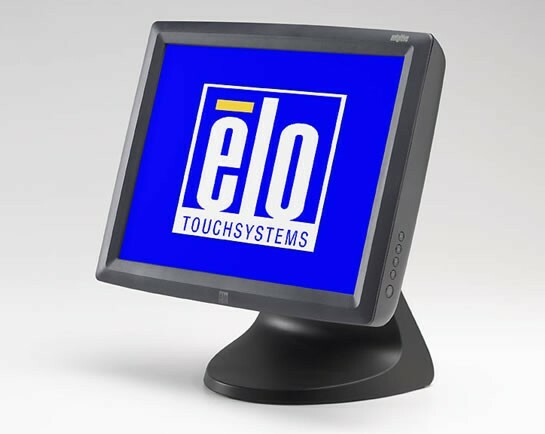 The ELO TouchSystems 1528L 15" LCD medical desktop touchmonitor is an integrated solution for medical equipment OEMs and healthcare system integrators seeking a reliable, durable and cost-effective touchmonitor. Typical applications include patient self-service, nurse station and medical OEMs. This monitor can be safely placed in patient care areas, such as the operating room, where contamination may occur. The touchmonitor's innovative IPX1 enclosure design, coupled with the addition of a special gasket, sheds water and resists liquid drops and spills. The 1528L is available with IntelliTouch surface wave touch technology or AccuTouch five-wire resistive touch technology. AccuTouch is the most widely used technology for medical equipment applications. AccuTouch touchscreens can be activated with a gloved hand or any stylus, an important feature for medical applications.